Have you been looking for legal counsel or representation for debilitating spinal cord or brain injuries? AG Injury Law Office can be of immediate assistance. We understand that damage to the brain, is without a doubt, one of the most catastrophic injuries that an accident victim suffers. This is because it’s capable of diminishing your physical as well as your cognitive functions on a permanent basis. Extensive medical treatment, care giving services as well as rehabilitation is needed in order to eventually cope and recover. Traumatic brain injuries are known to be amongst the leading causes of death and lifelong disabilities and impairments. Nevertheless, filing a claim for your compensation is incredibly important because the extent of the injury can’t be measured and judged immediately. With this in mind, contacting AG Injury Law Office is going to ensure that you are protected against the sky rocketing medical bills for the extensive care and treatments. We have top specialists in the field of traumatic brain and spinal cord injuries. We have an established working relationship with some of the best doctors in the province of Ontario. Our lawyers thoroughly understand all the complexities behind such cases. Unlike broken bones or any other forms of physical injuries that are apparent right after the accident, brain and spinal injuries are complicated. These injuries require a perfect diagnosis as well as condition assessment in order to determine the level of the disability. The future cost of the treatment and future associated surgeries and procedures needs to be properly weighed in when calculating the compensation amount. In the majority of cases, spinal cord injuries would result in partial or even total paralysis that causes the victim to become a paraplegic or quadriplegic. This is going to have a thorough impact on the victim and their family, leaving them emotionally devastated. Suffering from an injury that alters your entire life can definitely be incredibly overwhelming. It’s also going to affect the financial situation of the victim immediately. The victim needs to properly adjust their life to the situation and make the necessary changes to the victim’s home. In a lot of the situations caregivers or full-time nurses are required as the victim won’t be able to take care of himself. With lifelong medical cost and the dramatically reduced wages and income, the situation can put a tremendous financial pressure. With this in mind, getting the financial compensation is critical for the families in order to survive the crisis. This is going to reduce the burden of paying for the overall treatment which is definitely much needed. At AG Injury Law Office, we have the necessary capabilities to represent the interest of traumatic brain injury victims as well as of those who have suffered from spinal cord injuries. We understand the situation that you are in and we are going to use all of our resources and experience to help you with the claim in order to get it settled as quickly as its possible. 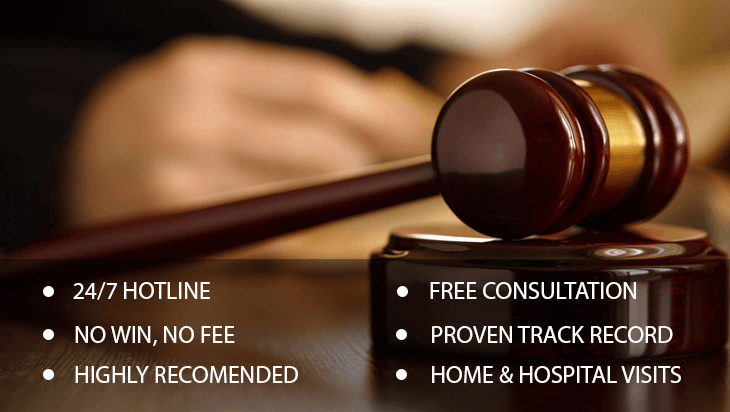 You can call us right away to get a free as well as no-obligation legal consultation.